Mike Tyler of Lamesa, TX, farms in Andrews, Dawson and Gaines Counties. He’s relied on NexGen varieties for several years, especially NG 3406 B2XF – his “go-to variety.” But he has also been impressed with the “4-Series” of NexGen varieties he has recently tried. “NG 4601 B2XF and NG 4689 B2XF have both done very well on my farms,” said Tyler. “And I really liked the vigor, plant size and drought tolerance of NG 4777 B2XF this year. It’ll be on some of my dryland and irrigated acres next year, because I believe it’s a fit for both. It’s this type of grower satisfaction and response that has helped move Americot and its NexGen brand of varieties into a solid number two position in cottonseed market share. 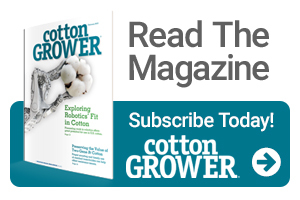 According to the 2018 Cotton Varieties Planted report, Americot’s NexGen varieties were planted on 30.7% of U.S. upland acres this year, including more than 42% of the acres in the Southwestern states. The workhorse of the NexGen product line is still NG 3406 B2XF, a mid-to-early variety that has shown consistent yield and quality performance across the Cotton Belt, evidenced by its ranking as the top planted variety in the U.S. in 2016 and a solid number two in both 2017 and 2018. Several of the company’s current varieties came to the market in limited quantities this year. That won’t be the case for 2019, as ramped up production will assure a consistent supply. And any decisions on new varieties for 2019 won’t be made until all field and trial data has been collected and reviewed. Potential candidates under evaluation all contain the B3XF technology. “In the majority of our plots thus far, our new B3XFs are winning the trials or are at least in the top percentage of the varieties tested,” says Littlefield. I believe Americot is also using… “Avicta Elite Cotton Plus with Vibrance CST” which is giving very good results as a seed treatment option in combination with their cotton seed varieties. 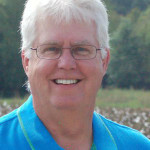 I would like to see more performance data of Americot cotton seed varieties in Louisiana & Mississippi.